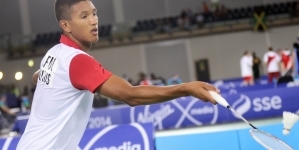 Nigeria’s increasing dominance of badminton in Africa is going unabated. The Nigerian team has emerged the overall winners of the 2018 edition of the Africa Schools Badminton Championship, held in Tema, Ghana. The Nigerian team won five gold medals, three silver and three bronze medals, while South Africa with one gold and two silver finished second. Uganda came third with one gold and four bronze medals. On the final day of the tournament, the Nigerian team won three gold medals to add to the two it won in the team event on Sunday. The Nigerian team was making its first appearance in the championship since it began in 2006. 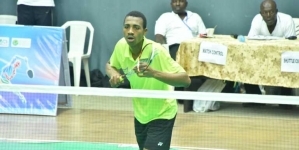 In the all Nigeria Boys Doubles Final, the pair of Babatunde Bankole and Egbonyi Daniel defeated Balarabe Ahmad and Shamsuddeen Khalil 2-0 (21-17, 21-16), while in Girls Doubles Nigeria’s Obanishola Sofiat and Obasanmi Olajumoke beat Morgan De Beer and Kent B of South Africa 2-0 (22-20, 21-16). In the Mixed Doubles, which also involved two Nigerian teams, Balarabe Ahmad and Obanishola Sofiat beat Babatunde Bankole and Taofiq Romoke 2-1 (21-18,17-21). 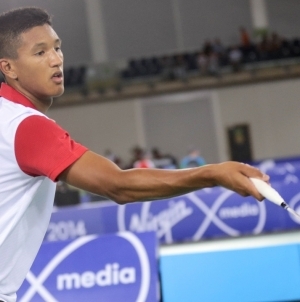 However, the Nigerian team lost the boys and girls singles final. President of the Badminton Federation of Nigeria (BFN), Francis Orbih commended the team for the feat and noted their win would help encourage young kids to take to badminton. He stated the team showed discipline throughout the event and were great ambassadors of the country. The newly-elected Second Vice President of the Nigeria Olympic Committee (NOC) said that the BFN would continue to bring up programmes that would enhance development of the players at all levels. 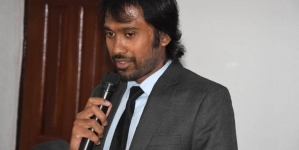 “I must commend the team for this achievement. They have done well and we will continue to encourage them by providing the necessary support for them to excel. I am sure that we are already on the track in our quest to grow our talent base,” Orbih added.